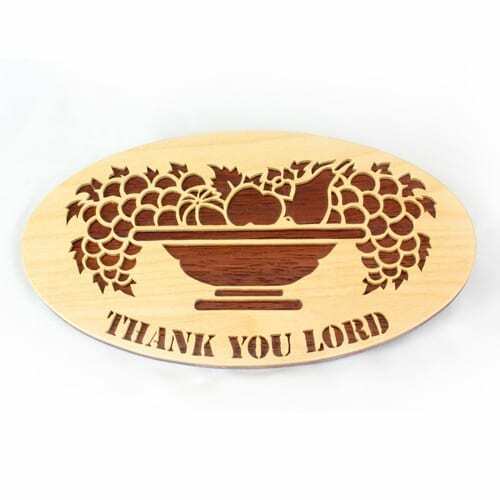 Handmade wooden plaque crafted by Slovak-American woodworker John Sandor. Approx. 10″ wide.